By far my favorite season is fall. I know, the more obvious answer would be summer with its endless sunshine and sailing, but really fall still offers great potential for fantastic sailing. Let's just forget the fact that HB is now safe and secure on her cradle, if she were in the water you can bet your behind that we'd still be enjoying some great sails along the coast of Lake Michigan enjoying a front row seat to the color show nature puts on this time of year. It's time to dust off that crockpot, get out those sweaters and rake a few leaves. Oh, let's not forget my personal favorite; the glazed pumpkin and apple donuts and the CIDER. Dear God, the cider!! I wouldn't be surprised if I got a cavity solely from my glazed donut and cider consumption in the next few weeks. 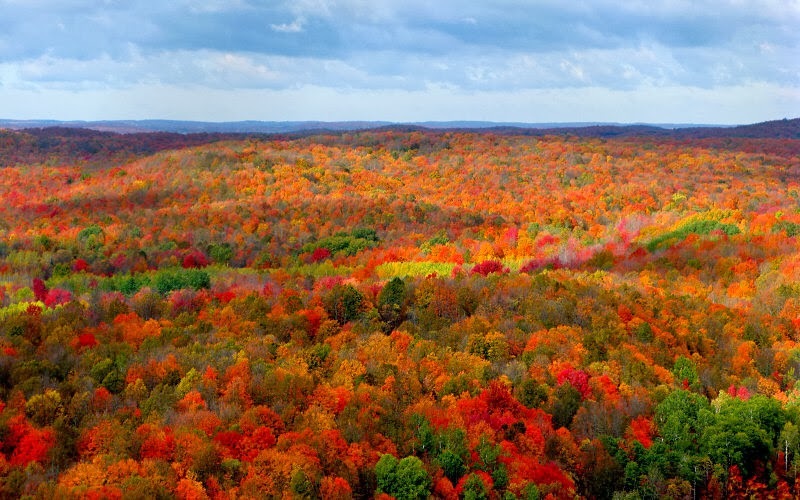 Michigan is famous for its apple orchards, apple cider and really all things apple this time of year. Fortunately for me, we happen to live near one that has the best homemade donuts and cider I've ever had...says the multiple awards they've won in recent years. And this year is sporting the sweetest, tastiest and biggest harvest in a while. So off we (me, my mom, brother, sister in law and 3 nieces) go to said orchard, who also happens to have made an empire out of the fall affair. These people are true geniuses. They have a mini petting zoo, rides and slides for kids, apple cannons and one giant corn maze. On top of that, they also have a few apple trees and a major store selling everything fall from homemade canned fruits and veggies to apple butter to fall décor and candles. Seriously, visiting this place is an all day event. And very good birth control...not that we need it. But it was a great way to enjoy a perfect Michigan fall day. Happy fall everyone! Here's to hoping your fall is a (short) distraction from the impending winter.